A truck loaded full with 2 piece cans leaving the premises every 8 minutes is evidence of large production capacity. Indeed, this is the latest, and in USA since 20 years also the first, new cans production facility, a diamond in the Crown. 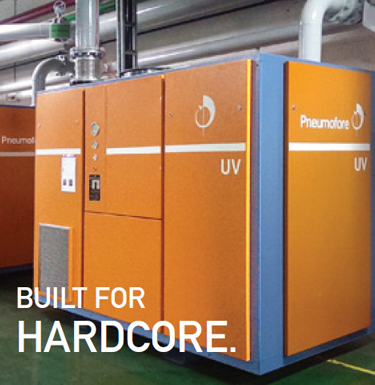 As partner in vacuum technology issues, Pneumofore supplied 4 x UV50 vacuum pumps. 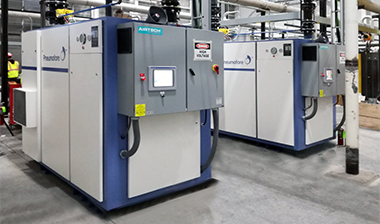 The units were tailored to fit the demanding specifications by Airtech Vacuum in Rutherford, New Jersey. Total installed capacity is 12.800 m3/h with 360 kW installed power, air cooled and fully interfaced by the most advanced MHI. Similar installations are supplied for Crown in Monterrey, Mexico, and Santafe de Bogota, Colombia. 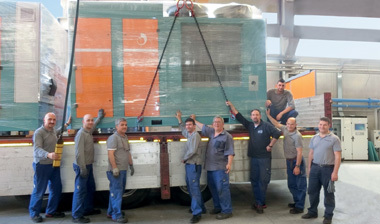 Pneumofore is consolidating its presence in Latin America with the recent delivery to Mexico of a UV100, the world’s largest air-cooled twin rotary vane vacuum pump with up to 220 kW nominal power. This unit is equipped with two variable speed drives, one for each motor, and designed for hot climates up to 50°C. 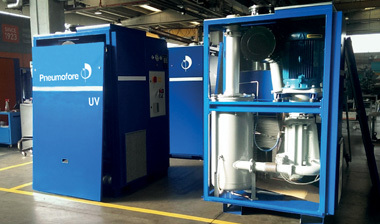 The UV100 was shipped on time and flew to North-Central Mexico to supply vacuum in glass bottle production. 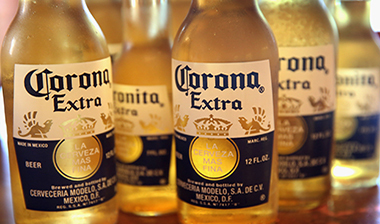 The customer is one of the world’s most important breweries. The company decided to invest into the modernization of the glasswork by introducing Pneumofore rotary vane technology with the aim to improve productivity and the quality of the glass products and to abandon the huge costs caused by the liquid ring pumps used so far. Students of Engineering, Administration, Export Sales and Manufacturing Technology regularly come to Pneumofore during their summer break to fulfil their weeks of internship at work. Internship is a great way to show students how to apply their theoretical know-how in practice; the gap between the school and work is easily bridged at young age; the rotation in different offices or production sections gives them insight in real working life. Presently we have 16 to 23 years old students in offices and production. In production, the internship students exceed 10% of the total working resources. We consider this first contact with the industry a delicate step, which we assist carefully, so that we are a preferred internship company for students of the schools and educational institutions nearby. At the end of the internship, lasting 2 to 5 weeks, Pneumofore issues a valid report of the achieved competences. In the picture is Janus Hilfiker working on a vacuum pump model V45, which was designed by his great grandfather Jakob in the 50’s, manufactured by his grandfather Roberto in 1971 and now being overhauled for the first time in 2016. Now 45 years old, this rotary vane pump shows how Pneumofore machines are designed to last longer than a human generation. This almost unbelievable, but real technological achievement, results mainly from the continuous, accurate selection and training of human resources, starting from the basic internship during school education. Here at Pneumofore, we work to reduce the environmental impact caused by human activity. But, while natural resources are limited, the human eagerness for profit seems to be endless. The prove for this consideration comes from public statements of large, finance-driven competitors, who declare important increase of the spare parts business, and the consequential higher number of employees in aftersales service than in production. The forced replacement of the key component of air compressors and vacuum pumps, namely the screw air-end, just to mention a crucial one, results from “programmed obsolescence strategy”. On the short term, this makes shareholders happy. 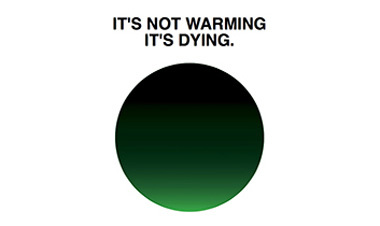 Shareholders who look at their shares revenue have no clue about the size of environmental sacrifice caused by their profits. Probably only Chief Executives who visit the floor of their factories and meet customers on a regular basis have the real understanding of their responsibility towards nature. 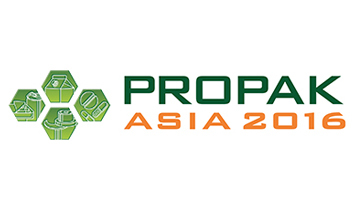 Back from Propak Asia, the main packaging event in Bangkok, Thailand, we are glad to report about the impressive amount of contacts bored to waste money on screw compressors and vacuum pumps, no matter whether made in Europe or elsewhere. From India to China, the criteria of longevity is well rooted; human longevity, however also longevity for any item, from big to small, natural resources and bicycles, are included. So it comes that our machines match the local philosophy and we succeed to install important compressed air and vacuum systems. With several Pneumofore engineers presently working spread over the continent, we collect the positive feedback from our customers and consolidate our vision of Pneumofore’s future in Asia. After weeks of intense manufacturing and testing, nearly twenty A400 air compressors have left the workshop at Pneumofore headquarters on-time and started their long trip to China under a bright, sunny sky. 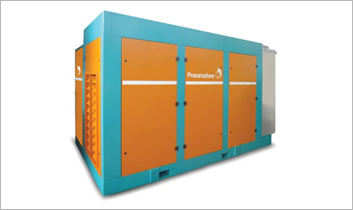 These machines are the first batch of the largest supply of air compressors designed by Pneumofore for a single glass industry. The customer decided to strongly invest into the modernization and optimization of his glasswork and chose the A Series for the supply of compressed air after experiencing the undiscussed reliability and superior efficiency of the UV Series vacuum pumps. The project includes over forty 250 kW A400 air compressors, some of which equipped with Variable Speed drive. They will be serving the moulding process of hollow glass containers. The delivery of the A Series compressors will be completed by the end of the summer. The entire project will be able to deliver the nominal power of over 12.000 kW. Supplies of batches with 20+ units to Striebig AG are regular since 2002. Compact vacuum stations consisting of receivers, filtration, connections pre-set and dedicated electric cabling serve the “vertical panel sawing machines” of Striebig in Switzerland. The vacuum holds the panel and allows sawing of the entire wood panel, without waste caused by any other clamping equipment. 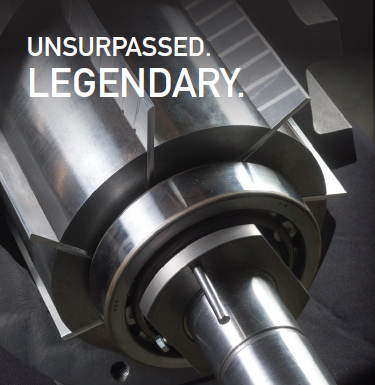 The collaboration works on the common ground of “Swiss Quality expectations”; in complete favour of both Striebig and Pneumofore, since we observe the come-back to proper engineering for machinery with long lasting performance, even if the initial purchasing price of our products is higher. World brands of small capacity rotary vane vacuum pumps do not differ much anymore, they are quite popular in many industrial applications. 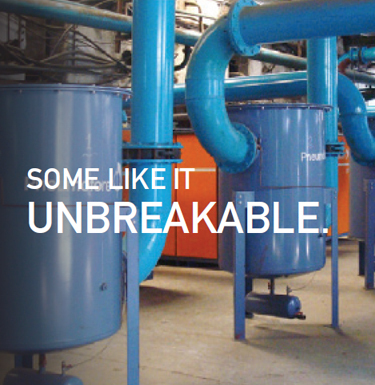 What makes Pneumofore special is the accurate testing and finishing of tailored vacuum solutions, with the same care for these 100 m3/h as we do for large systems with up to several 10.000 m3/h of vacuum capacity. With over 20,000 visitors and nearly 900 exhibiting companies, the China Glass exhibition, held from 11 to 14 April 2016 at the Shanghai New International Expo Centre (SNIEC), confirmed itself as a must-attend meeting point for the glass industry in South East Asia. 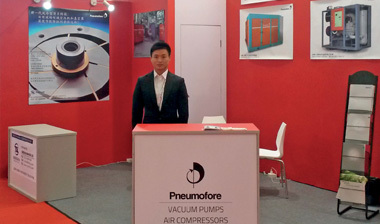 As leading supplier of centralized systems for the generation of vacuum and compressed air in glassworks around the globe, Pneumofore participated at the event with its local partner Ninesun Consulting to present the company’s latest innovations and product solutions for hollow glass sector, which include the UV100 vacuum pump and the A400 air compressor with 315 kW for pressures from 2,5 to 10 bar(g). Pneumofore is consolidating its presence in the Chinese glass manufacturing industry, with several projects to serve key customers oriented versus modern, environmental-friendly technology. Despite climate change, which Pneumofore fights with any weapon, we observe with pleasure the flourishing of fruit trees, according to the present season, here in the Mediterranean area and as far as Japan. In order to contribute to the pleasure of botanic gardens and healthy food, Pneumofore is ISO 14001 certified in respect of the environment. More important, at the bottom of Pneumofore is the fact that our products reflect exactly this philosophy. On the picture are displayed the rough casting of large rotors for the A400 and UV50 rotary vane machines. It all starts with defect-free cast iron, according to severe specifications. Inspections at supplier sites in foundries are common practice to keep control right from the starting point. It is as if when we plant the seed, first we check the weather conditions, ground fertility and verify the moon phase according to ancient knowledge. All this for a bright future of the generations to come. The new casting for the housing of the air ends that fits the new A150 air compressor and the UV24 vacuum pump is well defined. Presently we analyse precisely how to optimize the machine efficiency at different pressure levels. 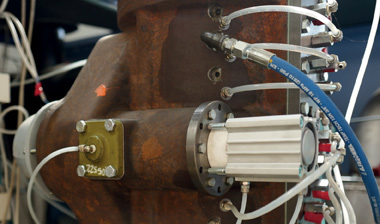 No lubrication pump is found in a traditional Pneumofore rotary vane machine; the oil circuit is kept “active” for cooling and lubrication by using the machine internal pressure differences. The picture shows the newly designed UV24 vacuum pump with vertical layout. The lubrication pipes have singular flow settings to inject the exact amount of coolant, depending on the operational value that can vary from 0.5 mbar(a) to 40 bar(g). Like this, every air-end housing has a different machining procedure, precisely set for a specific application. In Pneumofore, continuous innovation comes from our people, a strong team of dedicated employees, each one with his own specialization and know-how. The human factor is a huge contribution to the way we do business and a key element in our production processes, which are not strongly automatized. Having so much hand-work involved in our assembly procedure, we must keep a strict quality control and machine testing sequence, to avoid any risk of human mistakes. 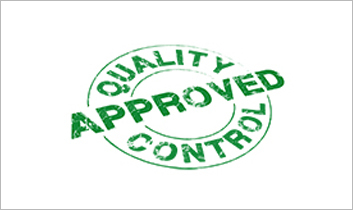 These accurate checks make sure that our machines are delivered fault-free. As a measure of our production quality, at Pneumofore we traditionally divide the total cost of warranty by the yearly turn over. In 2015, this indicator was reduced to a very low 0,48% value, which means that hardly any customer asked a warranty replacement during the last year. We are extremely glad for this result, which reflects our passion for continuous improvements towards ever-higher quality standards, and strengthens our image as a manufacturer of highly reliable machines for the lowest environmental impact. 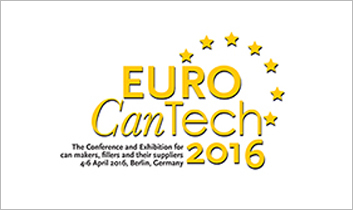 As a leading supplier of centralized vacuum and air systems for the can industry, Pneumofore will participate in Euro CanTech 2016, the technical conference and exhibition for the metal packaging industry that will be held in Berlin, Germany, from 4 to 6 April. Eng. Daniel Hilfiker, President and Owner of Pneumofore, will be among the keynote speakers of the event to demonstrate the advantages of centralized vacuum and compressed air supply in can lines worldwide with the presentation 'No Cans without Vacuum’ on April 5th at 11:00 AM. Alongside the technical conference, Pneumofore will welcome the conference attendees at the concurrent tabletop exhibition. 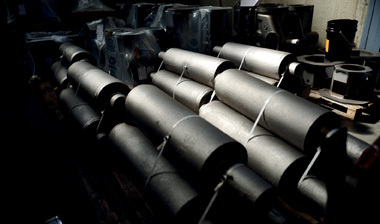 With references such as Rexam, Ball, Can Pack, Crown Cork, United Can and many more, Pneumofore ensures top pneumatic expertise to the global can industry. Back from Tire Technology Expo, the leading tire moulding exhibition in Hannover. The update on innovations is relevant to speed-up manufacturing processes for optimized productivity. 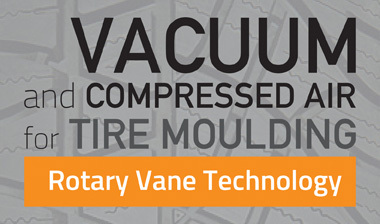 A note regarding vacuum in tire moulding factories: the traditional spikes on new tires are disappearing, replaced by round signs from minivents; the way that tire moulds are evacuated is improving. This alone brings the following advantages: vacuum is used only upon request by means of spring vents, which reduces the power consumption of the vacuum pump, as the suction holes are securely closed, when required. Secondly, stickers on tire fronts, as applied in large storages to identify the tire model, will stick and remain. Before, the rubber spikes were jeopardizing the long-term adherence of the stickers on the tire profiles. Pneumofore could observe the market and technology trends plus follow up interesting projects, besides those with long-term customers like Michelin and Good Year, now also with Continental. See you there again in 2017! The year just started and we registered a full order book, mostly with the large-size A400 air compressor, both in its low pressure version from 2,5 to 4 bar(g) and in the mid-pressure from 5 to 8 bar(g). The minimal installed nominal power is 250 kW, its hot climate HC version has a 315 kW motor installed. A frequent shipping destination are glassworks in Asia, the compressors are used for the hollow glass moulding process and for the manufacturing of tableware. The customers usually experience the extraordinary efficiency and reliability of Pneumofore machines starting from the vacuum side. 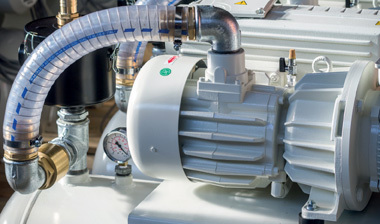 After decades of continuous running, the rotary vane vacuum pumps of the UV Series keep on perform as new; this is the undiscussed statement which brings our distant customers to also invest in A Series air compressors. Not frequent, but not the first time that Pneumofore installs vacuum pumps in Southern Africa. 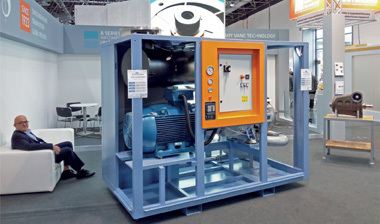 The solution with air-cooled vacuum pumps for glassworks and the trouble-free operation over 10+ years has been experienced in other glass plants in Nigeria, Ethiopia and South Africa. Good references are our first and best sales tool, these distant customers are satisfied, even though there is no local service centre. Training about ordinary maintenance is given to the customer during the commissioning phase, so that he can operate and service independently. In the picture are 3 pumps model UV16.